From makeup counters and freelance gigs to launching a company, Lora Arellano and Dana Bomar have done it all to feed their makeup obsession. 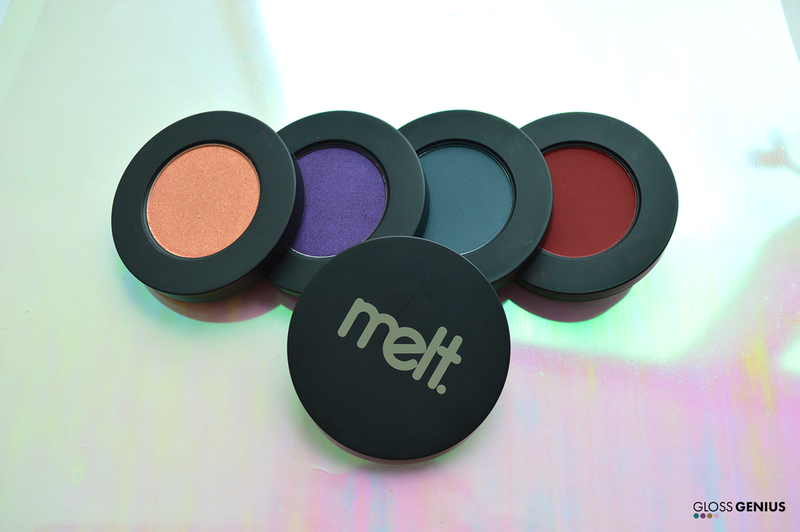 They founded Melt Cosmetics on the principle of creating cool and crazy colors for those daring enough to push the envelope. Their special matte lipstick will turn some heads. Their vivid and dramatic shades are unapologetic. Their amazing formulas will leave you wanting more. Lora and Dana are a powerful duo. They know makeup. Like, really well. They’ve always loved what a tube of lipstick can do to someone’s look and confidence. These beauties found each other while working at neighboring makeup counters and became close friends. Knowing a lot about the makeup industry, they knew that matte lipsticks on the market needed a lot of help. The matte formulas weren’t comfortable to wear and there weren’t any unique colors. Instead of looking for that perfect lipstick, they created one. They took a leap of faith and launched their line of lipsticks on Etsy and Melt Cosmetics was born. Melt Cosmetics was launched in 2013 with a line of matte lipsticks in daring shades (we’re talking navy and turquoise lipsticks). It didn't take long for their inventory to sell out as they received massive amounts of emails from people interested in their products. If the colors don’t bring you in, the packaging will. Their eyeshadow stacks are beautiful and are worthy of being displayed in your makeup vanity (we certainly love playing with them). Lora and Dana have managed making blue and green lipstick look good on anyone (and we mean anyone! Check out Lora’s look on Rihanna). And we love them because they have an amazing product line, took risks and followed their passion. We’ll keep our eyes out on this daring duo! We are obsessed with the Love Sick Stack! Its the perfect set of shadows for when you want a bold look. Let us know how you rocked a bold look with Melt!